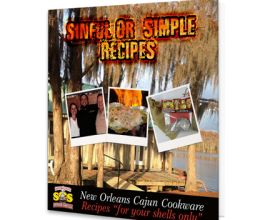 We’ve gathered some favorite recipes into our new eBook to give you even more ways to enjoy your oyster shells. 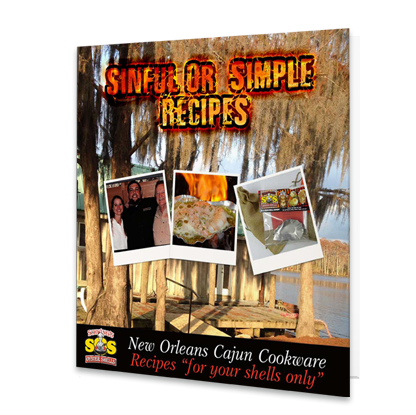 Just when you think you’ve tried everything delicious in your shells, we’ll be creating more ways for you to enjoy the best cajun cookware. Once your purchase is completed, you will receive an email with a link to download your recipe book. See product description below for help choosing a format. Here is a handy guide to help you choose the right eBook format for your device. Note that ePub is preferable for mobile devices because it will adjust and reflow according to your device, while PDF is a fixed layout that doesn’t display well on smaller screens.